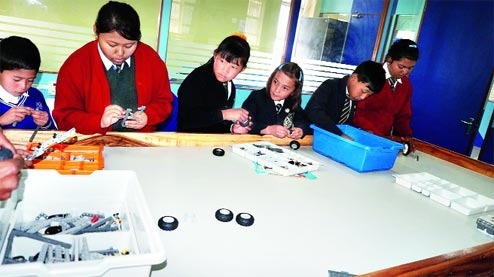 Innovation Hub, a facility to nurture new ideas and engage youths in innovative and creative activities, will be inaugurated at the Kalimpong Science Centre on Saturday. Set up by the National Council of Science Museums under Scheme for Promoting Innovation, Creativity and Engagement in Science (SPICES) of the Union ministry of culture, the hub is one of the many that have, and will, come up across the country. The hill hub has been set up at the cost of Rs 1.80 crore. The facilities in the hub include discovery hall, design studio, innovation research centre and hall of fame, idea lab and box, break and remake corner and build from scraps corner. "All these facilities are designed to promote innovation, creativity and keep the youths engaged in science. School as well as college students will be encouraged to adopt innovative ideas and they will be nurtured by mentors," said B.B. Gurung, the curator of the science centre. Sources in the GTA, which runs the science centre, said, to begin with, the existing staff of the centre would be trained to operate and maintain the hub. "Once the hub takes off, we will approach the state government and, hopefully, secure its sanction for the recruitment of more staff. The hub, we believe, is an important intervention to promote science and technology in our region," said a source. According to the SPICES scheme, respective centres will be responsible for operating and maintaining the innovation hubs, including recruitment of staff.